Now that’s funny. I knew that we culture-starved Americans borrowed everyone else’s festivals, but I didn’t realize other folks borrowed ours. …Well, except for Pizza Cowboy in Guidonia. Eggs, fake bacon, toast, cranberry jam from Bandon, OR, and fruit juice. At 3 a.m. Next time remind me to return to Europe via China. 16+ hours of flight time and we are back in Rome. Nap time is calling. Pith helmet + cheetah = AWESOME! 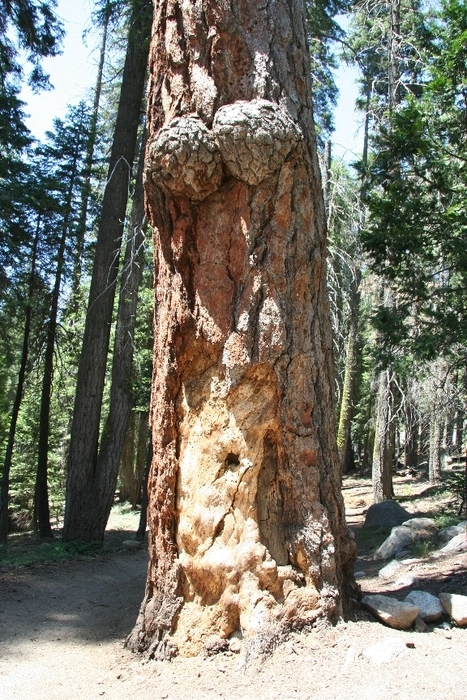 Tharp Log near Crescent Meadow, Sequoia National Park. The very large sign at the site clearly stated the name sans apostrophe or "s." Yes, I know. It's so unnatural! Taken near Crescent Meadow, Sequoia National Park. Sequoia & Kings Canyon National Park, California, USA It's rather Burl-esque, wouldn't you say? Get it, get it? Wow, tough crowd. How has nature been amusing you lately? Coneflower along trail. Much more cooperative than deer. Stupid deer.